After a festive period full of food, family, friends and merriment, the time has finally come to return to reality. The ‘season of giving’ has come to an end and whilst most of the gifts we receive over the Christmas period are truly treasured, there’s always that odd present that just isn’t quite ‘you’. A recent YouGov poll found that 57% of those who celebrate Christmas receive at least one unwanted gift per year. The tendency is often to hide these gifts away never to be seen again, with another recent study finding that a third of Brits admit to keeping unwanted Christmas gifts unused or unworn in the cupboards at home. But this year, why not re-gift them to your local hospice charity shop and make a real difference instead? St Catherine’s Hospice is asking its local community to donate any unwanted gifts to be sold in one of their 16 charity shops across West Sussex and East Surrey and help them raise funds to care for local terminally ill people. 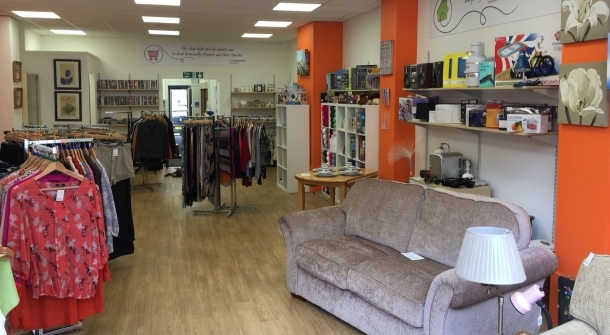 They will gratefully accept a whole range of items including clothing, accessories, jewellery, books, bric-a-brac, toys and games, and even furniture which can be collected free of charge for their House and Home Store in Crawley. The hospice shops across West Sussex and East Surrey are hugely important to the work that St Catherine’s do, and last year brought in more than £1.6m; money that will help them deliver vital care and support to local people. By donating your good quality unwanted items to your nearest St Catherine’s shop, you’ll be helping them reach even more people in the local community when they need them the most; from those patients with a terminal illness that need expert care, to their loved ones who benefit from St Catherine’s bereavement support. To find out more about how you can help St Catherine's by donating items, or to search for your nearest shop, please visit: www.stch.org.uk. For more information on free furniture collections for the House and Home Store please call: 01293 583077.